Looking for when is Guru Poornima (गुरु पूर्णिमा) in 2015? If yes, you have come to the right place. Guru Poornima (गुरु पूर्णिमा) in 2015 will be observed on Friday, 31st July. Guru Poornima (गुरु पूर्णिमा) is usually observed in the month of June or July. However, Guru Poornima (गुरु पूर्णिमा) is 2015 will fall on Friday, 31st July. Guru Poornima (गुरु पूर्णिमा), according to Hindu mythology, is the day when Maharshi Vyas was born. 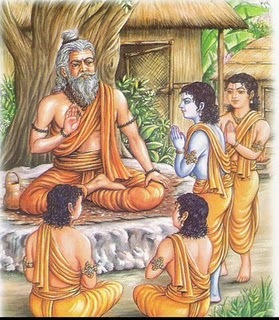 He is the one who compiled four Vedas (Rig, Yajur, Sama and Atharva) and wrote 18 Purans. Guru Poornima (गुरु पूर्णिमा), according to Buddhists, is a day when Gautam Buddha gave his first talk on religious subjects at Sarnath in Uttar Pradesh.